A month to learn, a lifetime to master...Bring your funny into any presentation. Learn to live comedy. Understand why people are laughing. Enjoy the art of stand-up. Entertain and speak with more confidence. Connect with people through laughter. The Stand Up Comedy Workshop will take you through the fundamentals of joke writing, joke structure, routine development, your stage persona, understanding your character and more...Culminating in a student showcase. 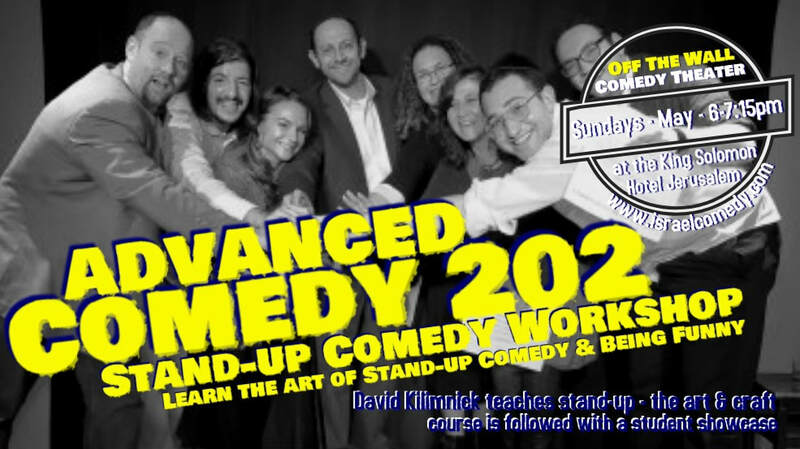 Course instructor Along with his commitment to stand-up performance and expression in Israel and Jerusalem, David Kilimnick, Israel's 'Father of Anglo Comedy'- JPost, has been teaching comedy to the people and comedians of Israel for over 10 years. Skills will help with: Making your Purim shpiel more bearable, speeches, presentations, self-confidence and discovery, comfort on stage, comedy writing, sharing laughter, entertaining at the table or at least not having people suffer through your Divrei Torah, understanding your children and why people are laughing on dates or at meetings, perspective, getting people to love you and of course stand-up comedy. For those who have worked on the craft of stand-up and learned the many fundamentals of Stand-up 101. 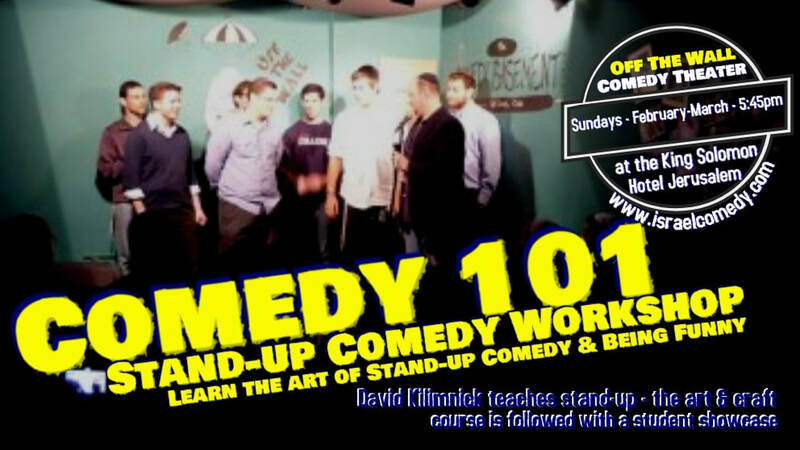 This class takes you into the next step of funny. Become a master speaker, educator, person that is unique. Learning to be a master performer with a fresh perspective, with the detailed techniques developed by David Kilimnick and his personalized understanding of you.